We are almost at the end of this round of ABC Wednesday. The letter of the week is Y. 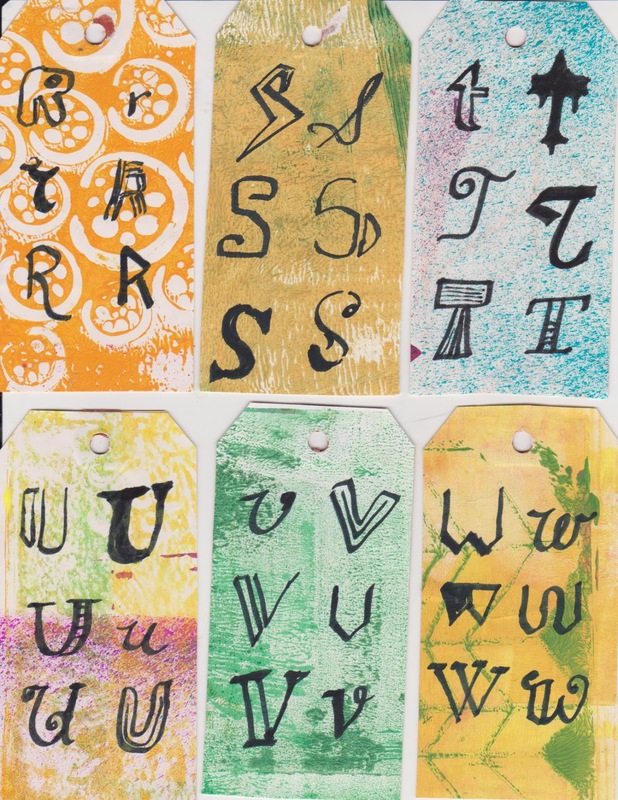 Here is my carved stamp and art tag I created for Y. Be sure to check here to see what others around the world did for Y. 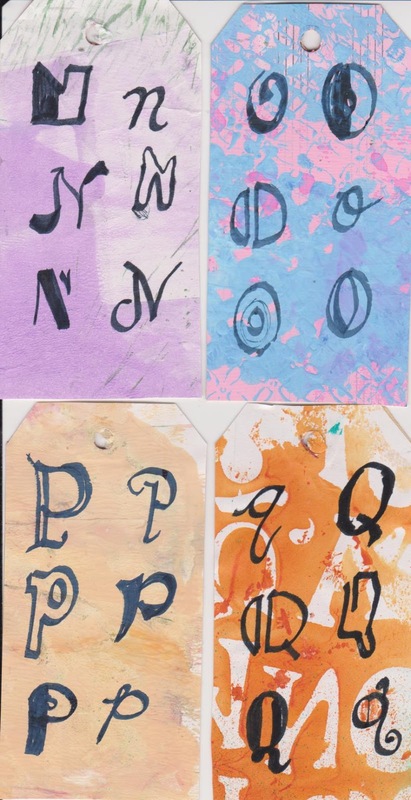 Each week, Julia Dunnit of "Stamping Ground" hosts WOYWW - where we are asked to share our work spaces and what we are working on. End of the week means sharing some of the projects I am working on. This week the theme is "celebration". I had fun with the background - using a paper towel roll and paint to create the fireworks. Check here for how to create it. 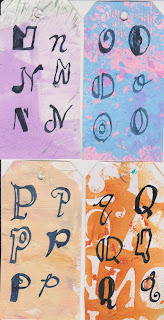 I am continuing my 365 day challenge with art tags - with R to W in different lettering. I'm enjoying this - as I want to improve the lettering I use in my journals - rather than just run off a quote. 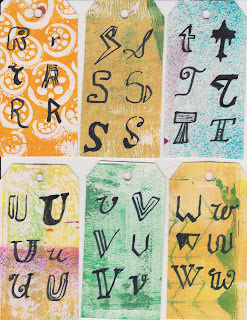 As well, I created a new carved stamp and art tag for ABC Wednesday this week - for X. At Daisy Yellow, the yearly challenge ICAD, runs for June and July. 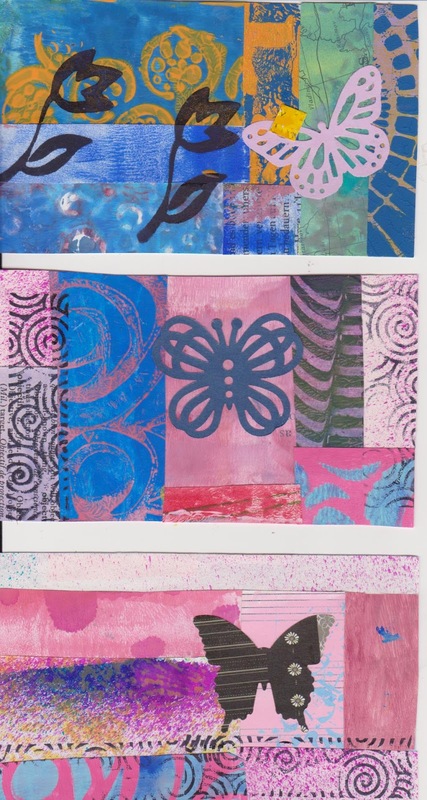 Here are some of the new index cards I worked on this week - with the theme butterflies and blooms. Today at ABC Wednesday, X is the letter of the week. 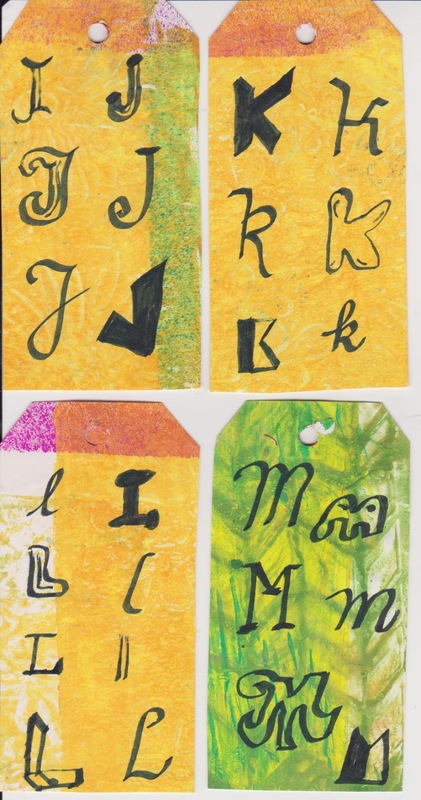 Here is the stamp I carved as well as the art tag I created for X. Check here to see what others around the world did for X. 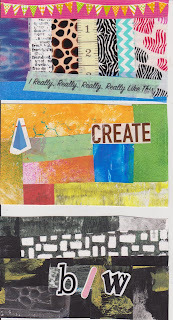 Each week Julia Dunnit encourages us to share our work spaces and what we are working on for WOYWW - the weekly challenge hosted at "Stamping Ground". Here's my stamp carving workspace - on my dining room table. 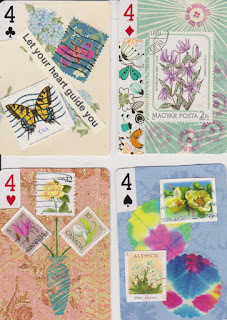 This weekly challenge at LuLu Art is enjoyable, informative and creative. At Daisy Yellow, you'll find lots of resources and the fun challenge ICAD - where we create an index card a day for June and July. 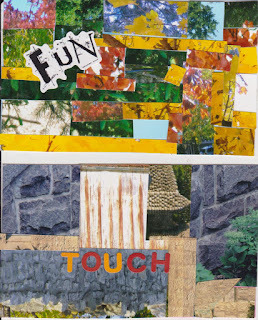 Here are a few from this past week - I used photo scraps for the backgrounds. Our peonies and lilies have bloomed! 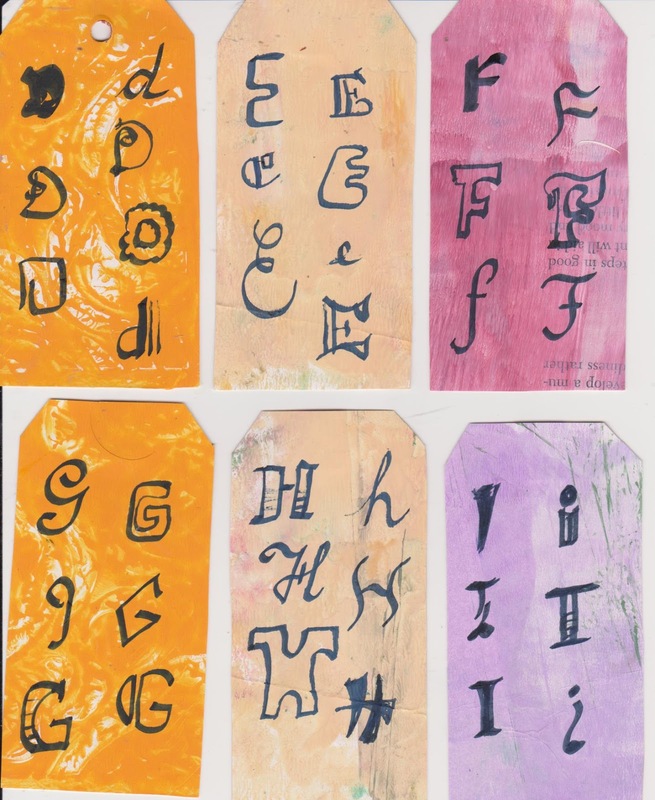 This week at ABC Wednesday, the letter W is our focus. Here is the art tag and stamp I carved (inspired by a stamp carved by Jessica of Enchanting Stamps -She is a very talented stamp carver). 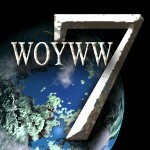 Be sure to check here for what others around the world did for W this week. 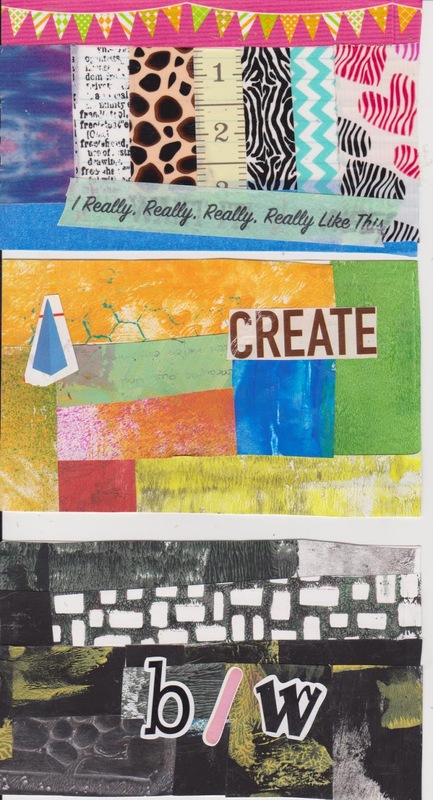 Each week Julia Dunnit at Stamping Grounds hosts WOYWW - where we are encouraged to share our work spaces and the work we are working on. 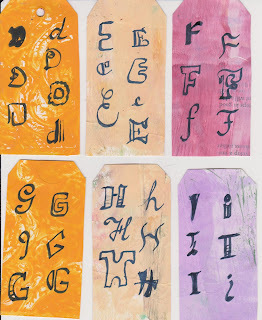 I thought I'd share some of the steps (and my work space as well) for creating the stamp above. First, I draw my design, turn it upside down on the carving block and rub the back to get the carbon on the block. Next, I begin to carve around the design, and then go around again to make it easier to cut around the excess with an exacto knife. 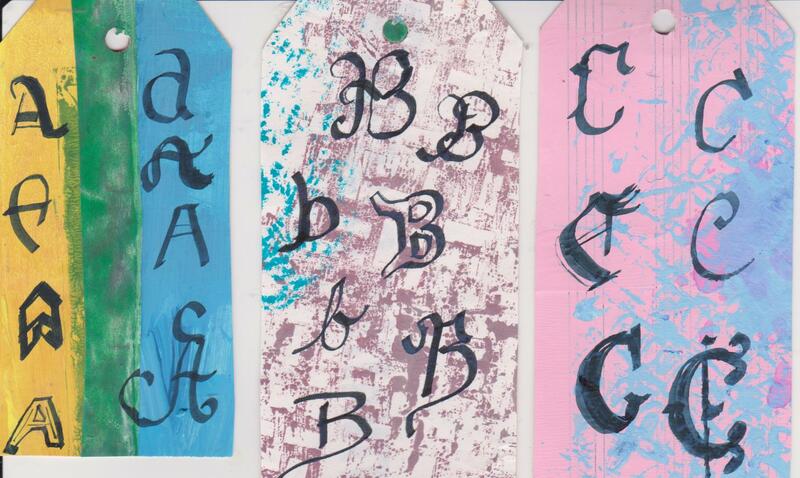 I check it then for areas missed, by inking it and stamping in my book. If needed I will trim excess and then restamp to check it. Finally, I create an art tag with the new stamp. 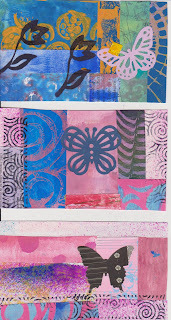 This week at LuLu Art the theme is having courage to move forward. The additional challenge was to use a ship in your art.I used maps as the background - ocean on the left and land on the right. 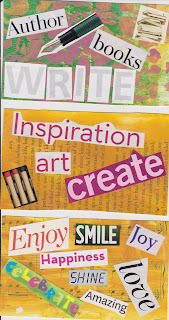 Daisy Yellow hosts ICAD - hte challenge is to create on index cards every day for June and July. 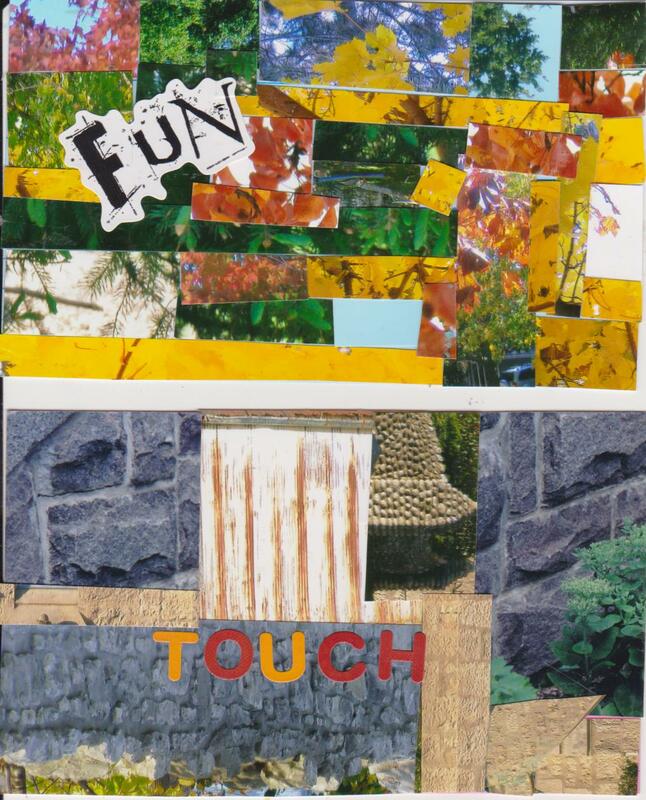 Here are several I created using words. 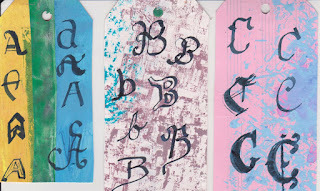 Here are several of the calligraphy art tags I worked on - D to I. Here is the art tag and stamp I carved for the ABC Wednesday challenge - vase. This week at ABC Wednesday, V gets the nod. Hard to believe we are so close to the end of Round 18. Here is the stamp I carved and the art tag I created for vase. 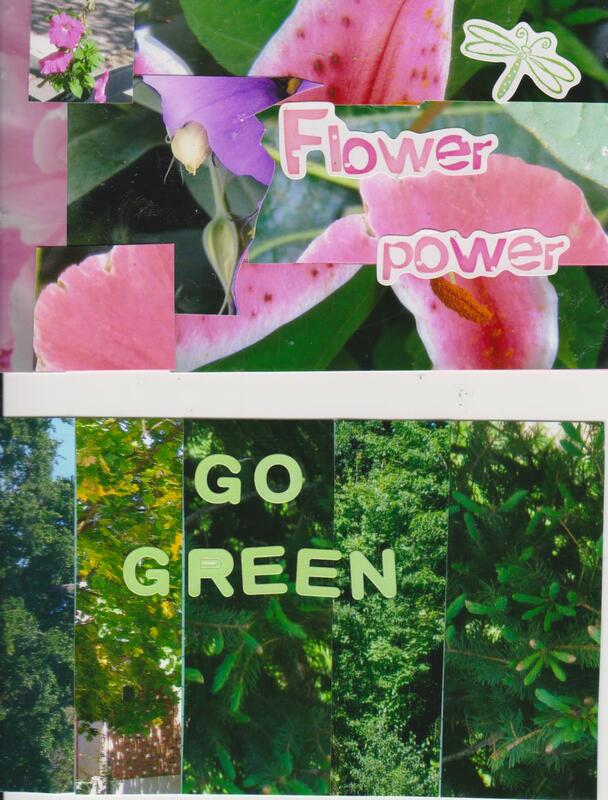 Each week at "Stamping Ground", Julia Dunnit hosts WOWW - where we all share what our work spaces look like and what we are working on. and after I created the art tag. It's that time of the week to share some of the things I have been working on this week. 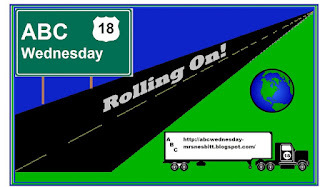 This week's theme at LuLuArt is about opportunity - basically seizing each day. 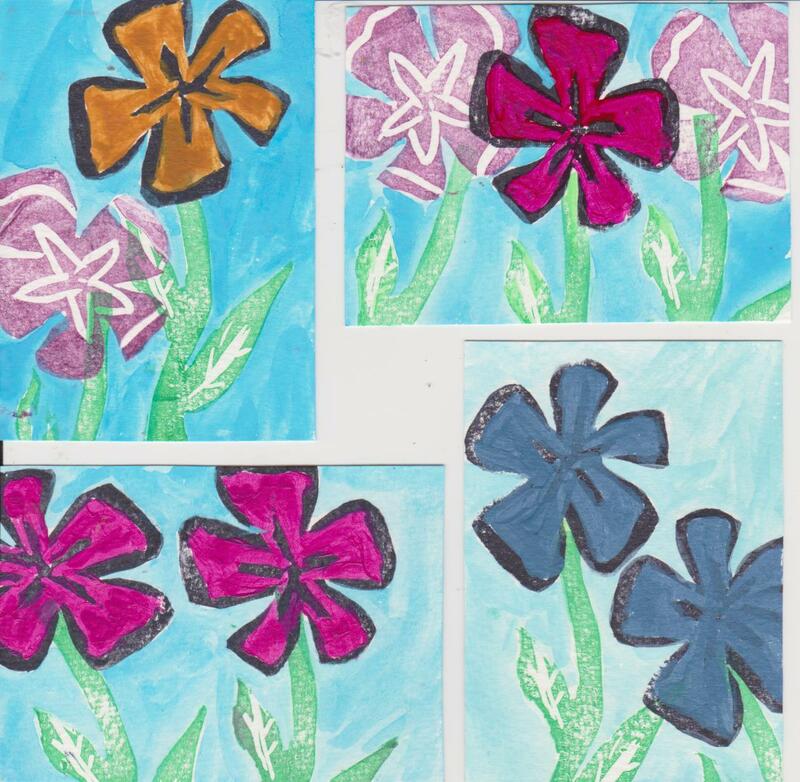 This yearly challenge at Daisy Yellow stresses using index cards to create daily art. I've done it a few years now and enjoy the freedom to just play with paper on a cheap canvas.The challenge runs for June and July.